On Thursday, May 12th, the Centro Cultural Barco de Papel hosted Klinko, an Argentinean illustrator who traveled to New York to publicize her book, Tintaviva, a graphic arts creation showing drawings of the female form captured in the movement of dance. “I always liked to draw and simultaneously put the body in motion: be it through dancing, sports or swimming. Tintaviva emerged as a way to string together these worlds, “says Klinko, its author. In the span of four years, the plastic artist meticulously drew and took notes of the sensations that remained after intense physical training, the intimate discoveries, the cross between the movement of her body and the path of her own life. Ultimately, all this material became a book of illustrations using mixed techniques (colored ink, stenography and pencil) and brief poetic phrases. Tintaviva was independently published with a limited print edition of 200 copies and a a number of signed copies come with reproductions of the illustrations as a gift. Event attendees had the opportunity to acquire this unique and singular publication that goes beyond the limits of a book to be placed on mute pictorial art, each page is a work of art, using an unconventional format. The event commenced as an informal interview/conversation conducted by Argentinean journalist and dance aficionado, María José Lavandera, blog author of Revor-Revista de Danza. The interview between the two ladies detailed the chronology of inspiration, creation, details of its construction and development process, flowing with remarkable ease due to their common passion for dance and journalism background. Inspired by passion and encouraged by the creation process, Klinko produced a unique and distinct book that speaks louder than images and words. 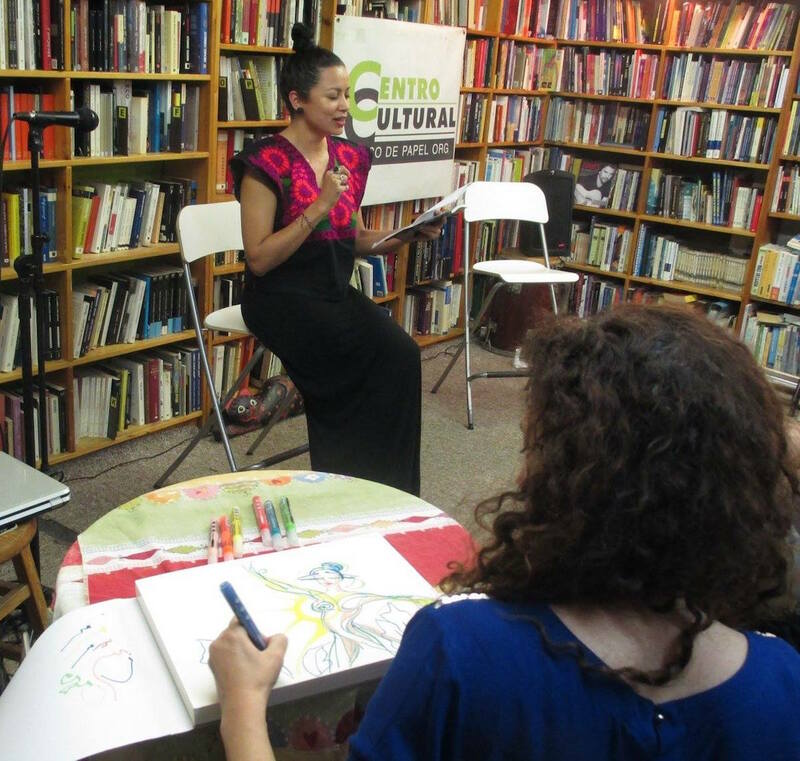 After the book presentation, Colombian-American poet and singer, Andrea Tierra dramatized some of her poems with traditional songs, while Klinko drew some paintings on the spot, inspired by the vibes of the room. Attendees had the chance to have their personal copies of Tintaviva signed. Available copies of Tintaviva sold out. The Argentinean artist Klinko has drawn since childhood. Her eclectic formation was initially self-taught and then began to take classes with Emmanuel Mulero, Fernando Calvi, Ernesto Pesce and Carolina Antoniadis. She completed coursework at Parsons School of Design, The New School for Design and the School of Visual Arts in New York, and at the Association of Friends of the Museum of Fine Arts in Argentina. In turn, she was also part of several collective showings: Immigrant Heritage Week (2009, NY), Gallery Night (2009), Feria del Libro (Book Fair) (2009) y Un elefante en un bazar (An elephant at a bazaar) (2010). Currently, Klinko works as an artist and editorial, advertising and fashion illustrator. 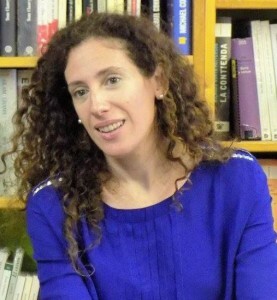 Some of the media and companies with whom she works with are: Revista Barcelona y Brando, Greenpeace, Clarin, Vinos Barroco, Editorial Temas y Las Oreriro, among others.